As a wedding photographer, I want every one of my weddings to produce great images that everyone loves and will let them remember it forever. Your wedding does not have to be grand in size, venue or dollar amount to be special. Whatever your wedding budget is there is a goal that all couples seem to have, and sometimes overlook the one that should be the most important. For you to have a great time spending your wedding day together! I have found those who choose to have a first look before their ceremony or are willing to put a solid block of time between the ceremony and reception for a staged one seem to get a lot out of it. 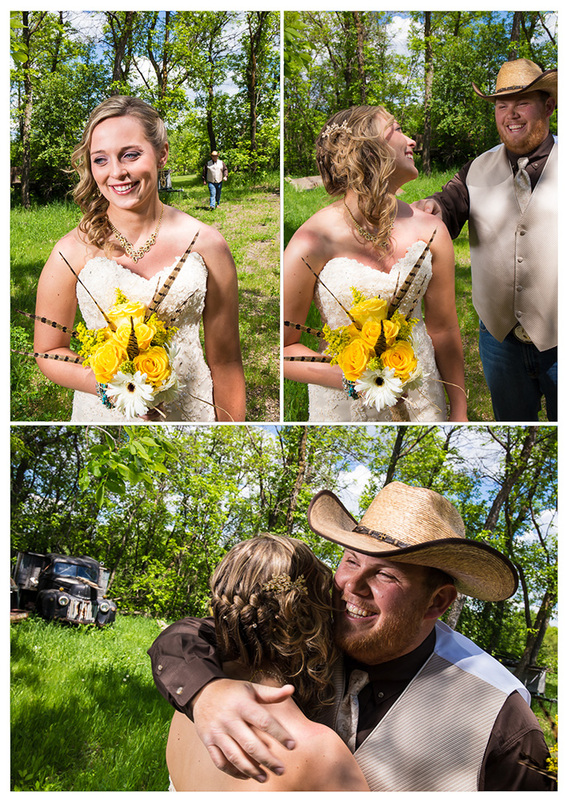 I try to set up at least fifteen or twenty minutes to photograph a first look and some of bride and groom formals. 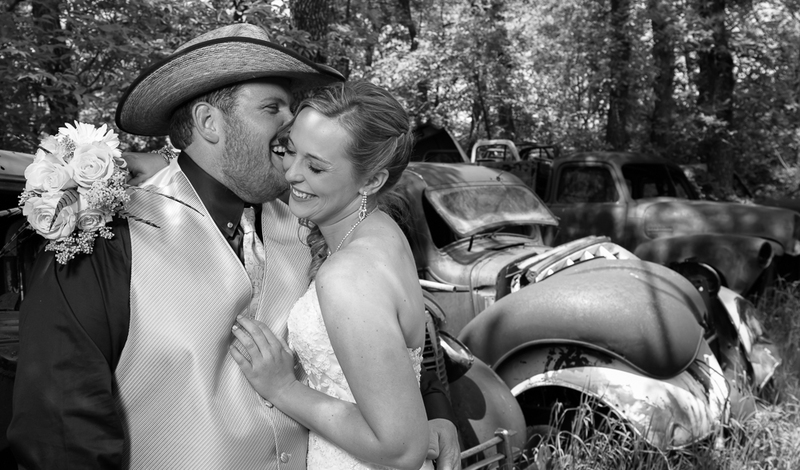 In the last wedding I shot it paid off with great results. Morgan and Mitch had a great country wedding and they set aside a good block of time for a first look in which they had a special spot picked out. There was a clearing with some old trucks parked in the backwoods where they would sneak out to meet each other in high school. So we got Morgan ready and had Mitch meet her where they had so many times before, it was a great spot because it had meaning and will remind of that forever, as a bonus it fit right in to their country theme. After this short session, they had time to chat and relax together, while I shot what was going on. They had no trouble feeling relaxed in front the camera for the rest of the day. So when you are planning your wedding day don’t think of first look as just time for photographs think of it as part of your day to be enjoyed and a way to feel at ease in front of the camera. And if you are close to some place special between you two, feel free to tell me and if time permits I am always open to suggestions. Just make sure you can add in the time to make it happen, most photographers should be happy to assist with any photo related scheduling questions well in advance of your wedding day.